When BEN DANIELS decided he was going to be a musician, it was more than a career choice. A natural poet, this young songwriter went to school on Bob Dylan, Robert Johnson, and Jack White, among others. His lyrics speak directly to a younger generation that hears, sees, and thinks about the very things he’s writing. 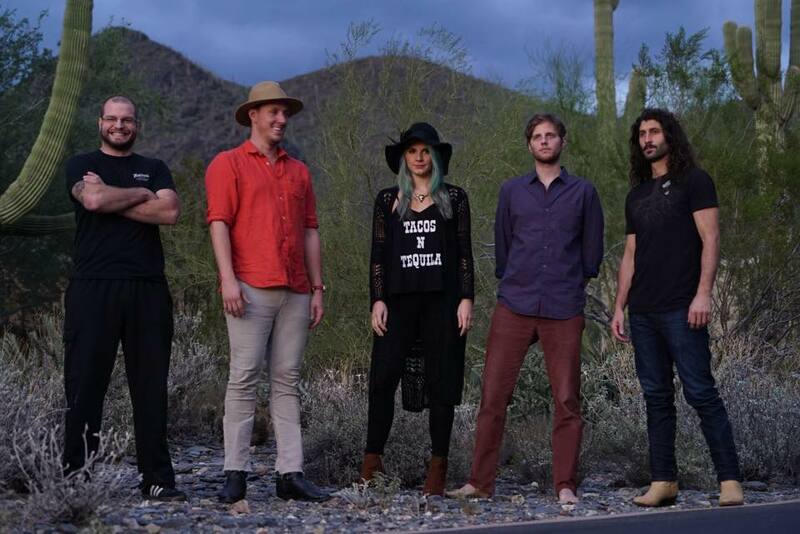 From their opening song to the finale of their set, the BEN DANIELS BAND cuts through with their originality, musicianship, and a sound that spans Americana, Blues, Jazz, and Rock. Throughout years of touring, BDB has played numerous venues in Michigan, New York City, Washington D.C., and Nashville. 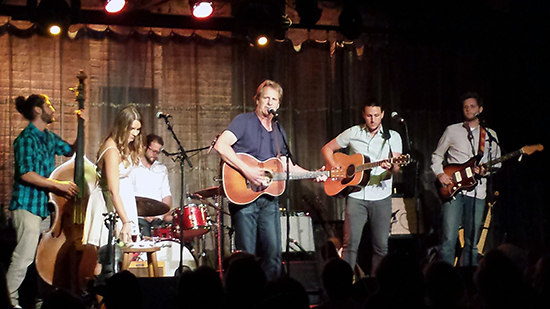 As a solo artist, Ben has stepped on the stage in Austin, TX at the Cactus Cafe, as well as The Barns at Wolf Trap. The son of actor JEFF DANIELS (known for such blockbusters as: The Divergent Series: Allegiant / Ascendant, Steve Jobs, The Newsroom, Dumb And Dumber) he has quietly monitored what it takes to live life as an artist. 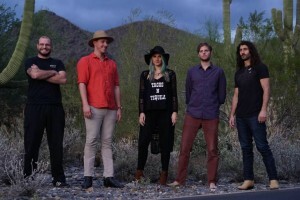 Beyond a passed down talent, the Ben Daniels Band believes in hard work, perseverance, and creatively challenging themselves and their audience. With GEORGE MERKEL on guitar, TOMMY REIFEL on bass, WESLEY FRITEZMEIER on drums / mandolin, and AMANDA DANIELS on percussion/vocals, BDB’s live show never fails to take over the venue. With five CDs under their belts – Coming From The C, Checkin’ In To The Michigan Inn, Can’t You See, The Mountain Home EP, and their dual album & movie release Old Gold – the Ben Daniels Band is has grown to be a formidable group that sounds pleasantly familiar, yet unforgettably unique. Check out their new EP on iTunes HERE . 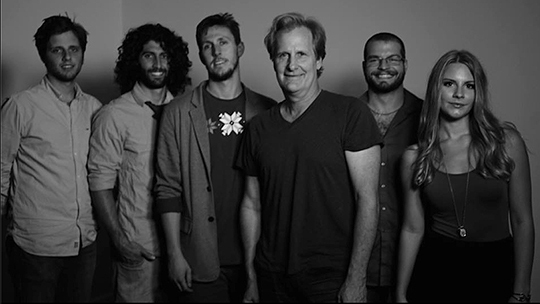 Ben’s father, JEFF DANIELS has a concurrent career as a singer-songwriter / guitarist. 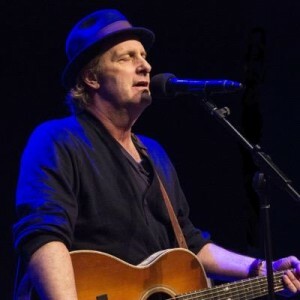 He has six albums out, has been playing live for more than 15 years and even uses a Martin acoustic guitar dedicated to him, the OM Jeff Daniels Signature Edition! Jeff is inspired by story-oriented, sometimes humorous songwriters like John Prine, John Hiatt, Lyle Lovett and the late Steve Goodman. But he owes a strong debt to a playwright he worked with when he was a young New York actor on the much-lauded Circle Repertory Company’s stage in 1978. He had an acoustic guitar he would play to fill time on the set. On his latest album, DAYS LIKE THESE , Daniels and his son’s band recorded songs that often were inspired by his career. For instance, the idea for the bluegrass-y “Now You Know You Can” comes from the filming of the pilot of THE NEWSROOM , the Aaron Sorkin-written HBO drama for which he played Will McAvoy, anchor of a cable newscast. All Access Music writer, Nicole DeRosa had a chance to catch up with Amanda, Ben and Jeff Daniels between touring and making cinematic greatness. Enjoy their chat below! Hey there Ben and Amanda! Where does our interview find you today and what’s on the agenda today besides our interview? Hey Nicole! We are currently at home recovering after a 10 day trip to NYC. It’s very rare that we have a Friday night off from playing shows, so we are having the band mates and friends come over to our studio (2188 Studios) to hang out, and maybe record some funky jams. For those that are not familiar with the BEN DANIELS BAND and your music, how did you guys get your start? Who or what was the catalyst for you to want to live the life of a musical gypsy? Ben: Several years ago, I decided I wanted to get a little group together to play songs I had written.I had just returned from audio engineering school so it was a great project to keep me busy inside and outside the studio. Creating music is a passion, a tough one at times, but it can also be very rewarding. You guys already have 5 albums under your belt: Coming From The C, Checkin’ In To The Michigan Inn, Can’t You See, The Mountain Home EP, and your dual album and movie release: Old Gold – the Ben Daniels Band. What have you learned with the progression of each album that you feel you want to infuse in your latest work? Our early albums were made with a bunch of songs that were written at different times and then put together on a CD just to do so. Nowadays we are focusing more on albums of songs that fit together, sound great and really come from the heart. Sometimes while writing, the lines that rhyme don’t necessarily have immediate meaning, so trying to have them mean more off the bat is another focus. Jeff, besides being an acclaimed film, stage and television actor, you have had a concurrent career as a singer-songwriter and guitarist. Not many people may know, but you’ve been playing live music for almost 15 years and even use a Martin acoustic guitar that was dedicated to you! (OM Jeff Daniels Signature Edition). How has it been touring with your son and the rest of BDB? Jeff: It was the trip of a lifetime! On the last day of the tour, we completed the song, “Never Gone Before” and put it into the final show’s set list. The song sums up the tour and what it meant to me. Who have been your inspirations growing up that also inspire you today? Ben: Personally, Blues music has had a lot of influence on me. The vibe/attitude is very real. It never gets old. Amanda: I grew up in a musical family, so they all inspire me. My mom taught me how to sing, my dad taught me how to harmonize, and my sisters taught me how to perform. 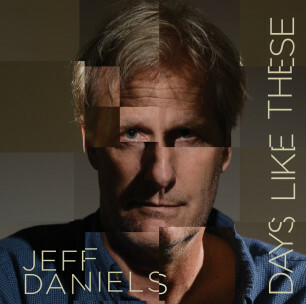 Jeff, on your latest album, Days Like These, (that you recorded with the Ben Daniels Band) you recorded songs that often were inspired by your acting career. For instance, what was the inspiration for the bluegrass infused song, “Now You Know You Can”? When we got off the road, we went into 2188 Studio and recorded “Never Gone Before” which is a compilation of all the songs we played together….listening to it brings it all back. Nowadays, everything is so instant…you press a button and it’s yours ala Spotify, Soundcloud, iTunes etc. What was the first album you saved up your hard earned money as a kid and bought for yourself? Ben: HIP HOP HITS VOL. 2 was one of the first CD’s I bought for myself in middle school. Classics. Amanda: I would be lying if i said it wasn’t a Britney Spears tape.. I’m a 90’s kid! What was the first song you fell in love with (or made a lasting impact) on you and why? Ben: Anything off the previous album mentioned above, I listened to it religiously! Amanda: “Devil in Disguise” by Elvis. That was probably one of the first songs i learned to sing. I remember thinking the lyrics were “You’re the devil in the skies.” It made total sense to me at the time. Who is in your current playlist? What artists or bands are in current rotation for you? Currently listening to a lot of Alabama Shakes, Zero 7, Hank Williams, Whitest Boy Alive, Chris Stapleton, Kendrick Lamar… To name a few..
What’s on tap next for the BEN DANIELS BAND? What are you most excited about for this year? We are most excited about locking ourselves in the studio and making the best music we can. 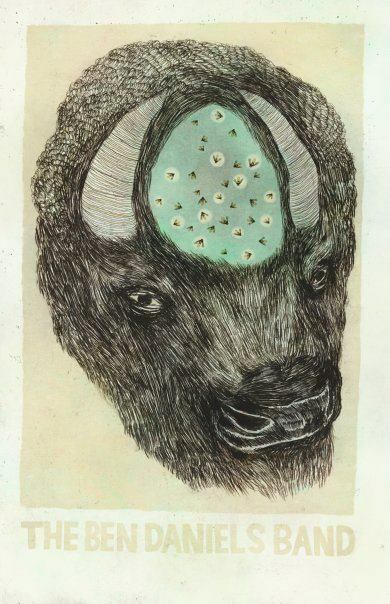 With every album we record, our music grows into a wild new beast, so we’re looking forward to whatever comes next. Nicole DeRosa joined the All Access Music Group family in February 2012. She loves the infectious energy and enthusiasm of the music industry and she feels right at home having music compliment her every day. Nicole blends her experience and skills which she has culled from her time working in New York as a photo researcher and editor at Entertainment Weekly and Harpers Bazaar Magazine. After New York, Nicole moved to London for school and there she stood in line for hours on Oxford Street to hear Paul McCartney play an impromptu concert on a rooftop. Another notable experience while living in London was her first time ever calling into a radio station, she won an invite to a record release party with the Beastie Boys for their album 'Ill Communication'. "I love London as it has such a vibrant and diverse music scene and I couldn't help but go out every night to check out gig after gig. It was a wonderful time." Living near the notable Sherpards Bush Empire music venue one of her most favorite concerts to date was seeing Bjork. Nicole has also worked for Walt Disney World in Product Development and later went on to work at Disney's Feature Animation Archives in Florida. Nicole has a passion for travel and adventure and has always wanted to live in California so she packed up and moved four years ago to the "left coast" and has been loving it ever since. Q&A with ROSALEE – Talks New Single, “Just My Thang” with SNOOP DOGG and More! The New Orleans Musician Extraordinaire, RILAN, Discusses Singing on Glee, Working With DALLAS AUSTIN and a Review of His Sayers Club Performance!